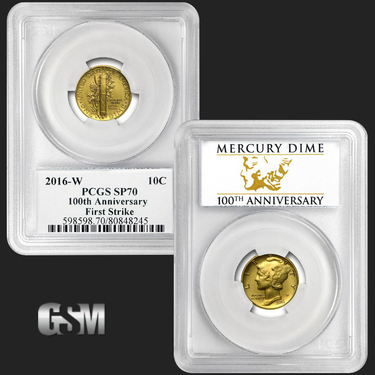 The 2016 Gold Mercury dime, minted for the 100th anniversary of the ten-cent Mercury dime, was first released on April 21, 2016 to incredibly high demand. 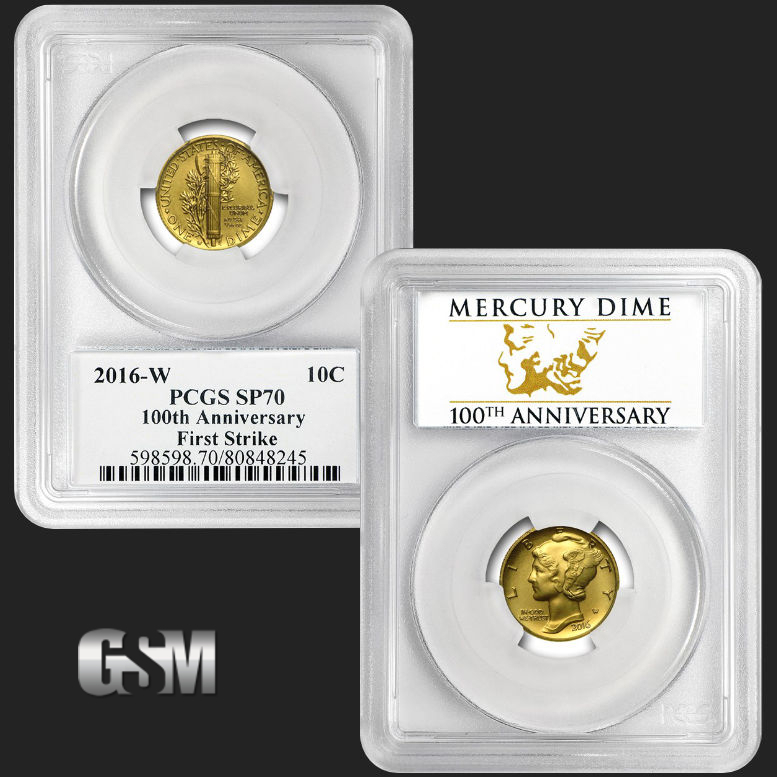 It only took 45 minutes before the Gold Mercury Dime, via the Mint’s official website, was no longer available for sale. 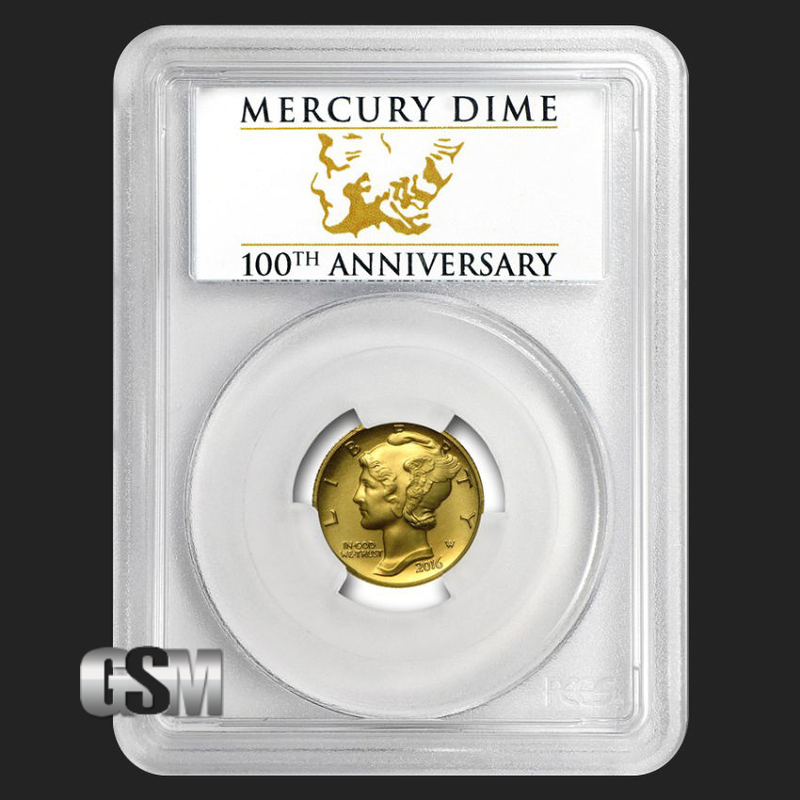 The Mercury Dime, also known as the Winged Liberty Head dime, which was produced from 1916 until 1945, was designed by Adolph Weinman, and this centennial version, containing 1/10 oz of .9999 fine Gold, follows the original design. The obverse (front) of this coin depicts the bust of a young Lady Liberty, adorned in her winged Phrygian cap. Framed above her head you will find the word “Liberty”, with the “W” mintmark, referencing a production at West Point, NY, printed to the right of her neck. Below her neck is the year, “2016”, and “In God we trust” has been placed to the left of neck. 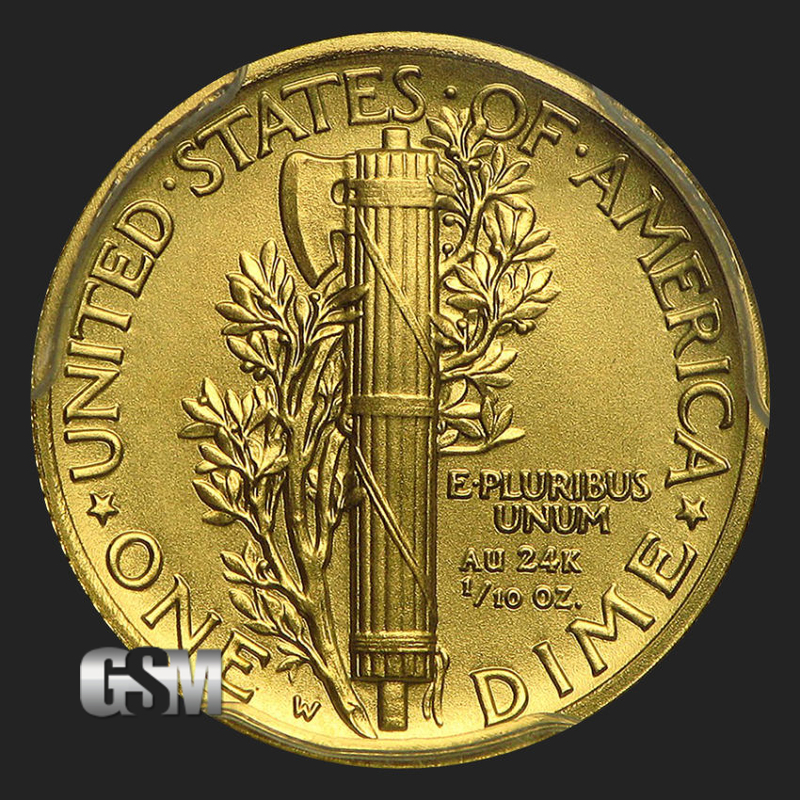 The reverse (back) of the Gold Mercury Dime features a fasces, which was a bundle of rods that had a projecting ax blade. The fasces, which was an object that was carried by lictors, which were men who attended the Roman consul or other magistrate and would execute offenders, often represents war and justice. Wrapped around the fasces is an olive branch, which is often used as a symbol of peace or victory. The coin has “The United States of America” along the top, with “One Dime” on the bottom. 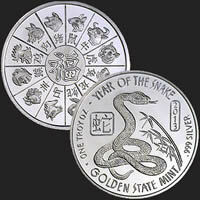 To the right of the fasces is printed “E Pluribus Unum”, and “AU 24k” (AU being the chemical element symbol for gold), and “1/10 oz”. 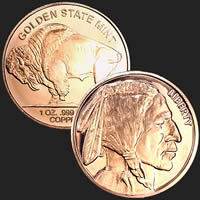 This coin comes packaged in a sealed slab, which been authenticated by PCGS and given the perfect grade of SP-70. 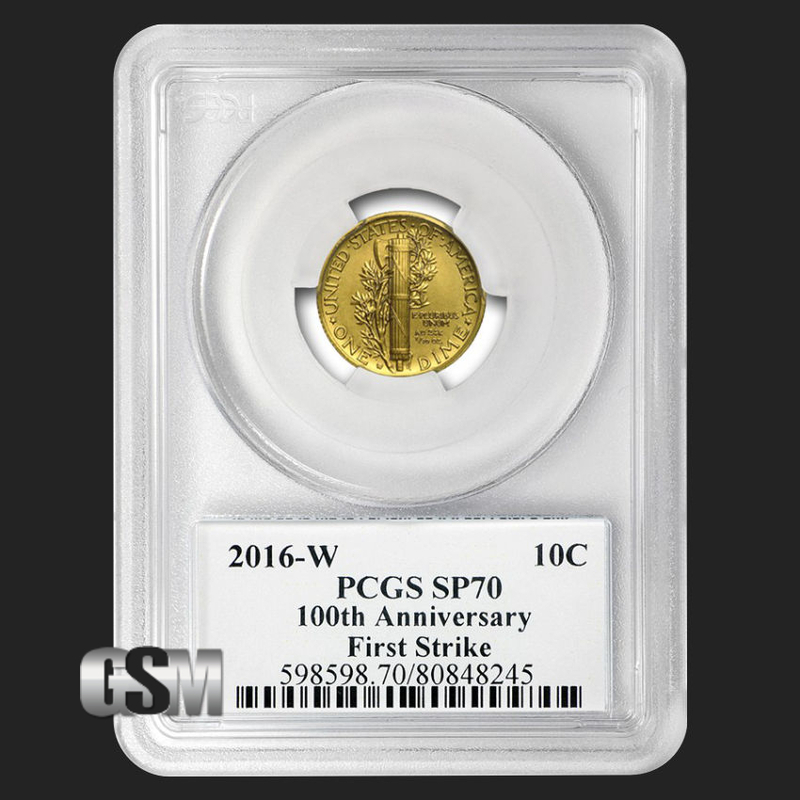 The slab has the 100th Anniversary and First Strike label, signifying that this gold coin was received by PCGS within the 30 days following the coin’s release. 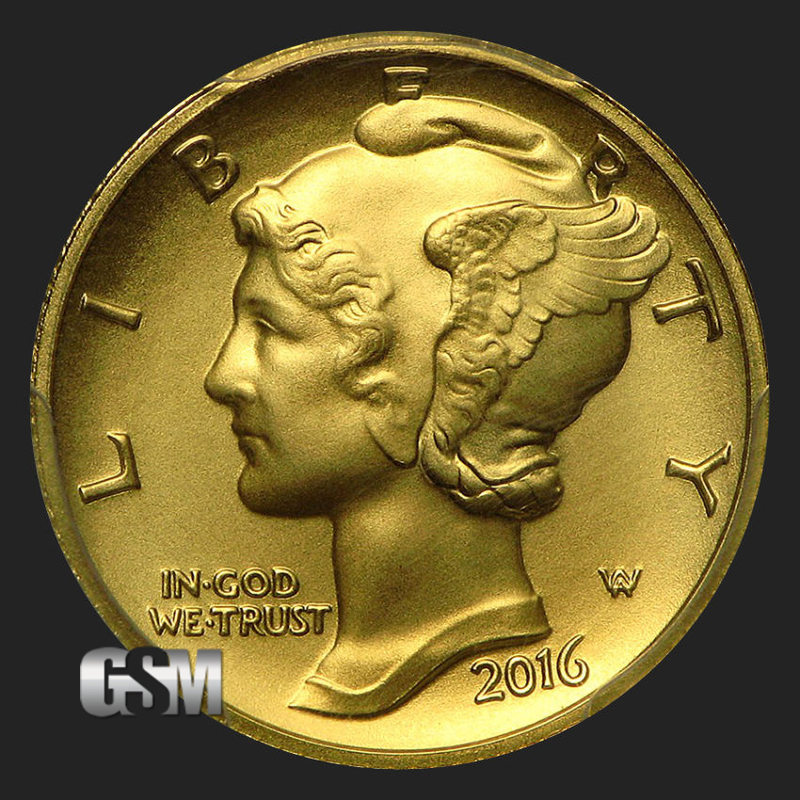 The 2016 1/10th oz Gold Mercury dime is a truly remarkable coin that has garnered quite a bit of attention. Get it now while supplies last. 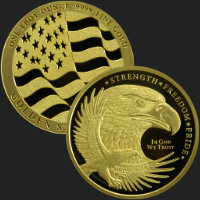 If you liked this product, you should check out our 1/10 oz Gold Eagle, 1 oz Copper Saint Gaudens, and 1/2 oz Copper Walking Liberty.